Keeping your home and family safe is our highest priority. Our propane safety pages are designed to help you learn about propane and how to use it safely. Feel free to review the information online or use our brochure library to download and print valuable safety and reference materials you can store at your home or business. 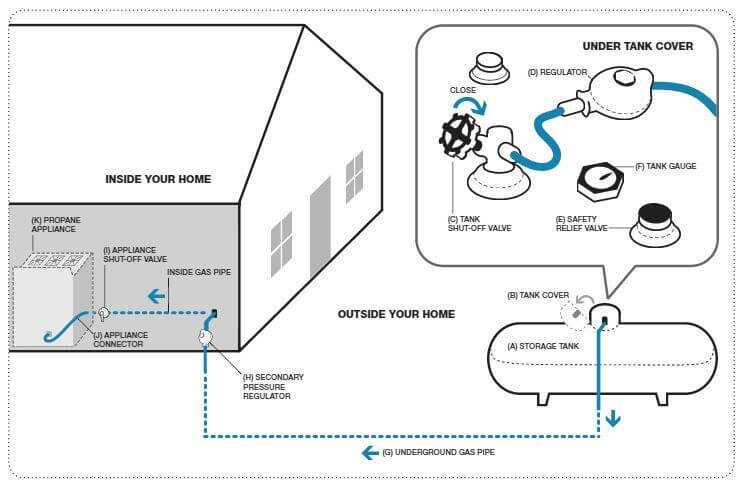 If you every smell gas in or near your home, take the following steps immediately. We know your home runs 24 hour a day, 7 days a week. So do we! We are available 7/24 to assist will problems, schedule emergency fills or anything else needed to keep your home running smoothly. If you ever have any questions or safety concerns about your propane system, please feel free to call. We take safety very seriously and are always happy to help!